Multiple enhancements were made to Essent Commerce Engine payment card processing in accordance with the latest Payment Card Industry Data Security Standards (PCI DSS). All encryption algorithms in Essent technology solutions have been updated to continue to meet PCI DSS. Upgrades to EssentOne™ improve enforcement of business rules, such as rules for customer-specific pricing, shipping, taxes, distribution centers, and billing. Guided Tours help new EssentOne users discover all of the power of the system. The digital overlays walk users through common activities whether it’s in CRM, Order Management, Fulfillment, Accounting, or elsewhere. The simple step-by-step instructions make it easy to learn how to use EssentOne, whether you’re migrating from Compass or totally new to the Essent BMS. The EssentOne UI/UX is improved based on customer feedback. Ease of use and mobile compatibility are improved for Sales Order Detail, Activities, Activity Detail, Opportunities, and Customer Manager. Complete configuration can now be performed in EssentOne™ for products, services, and charges, including the application of product matrices. The EssentOne business management system has added the Product Information Manager (PIM) engine from the Compass business management system. The product configuration capabilities are ideal for custom products, and the product matrices organize variations of items in a logical way that make the variations easier to manage for both sellers and buyers. EssentOne now supports receiving against purchase orders. EssentOne can fully handle orders in which a seller physically receives merchandise from a vendor. For example, if a seller is receiving merchandise that it will decorate before sending to the end customer, this order type is now supported in EssentOne. Receiving against purchase orders previously was available only in Compass. Consolidated Purchase Orders – Purchase Orders containing multiple Sales Orders – can now be processed in EssentOne. Essent Business Management System users who are connected to the Essent OrderTrax Network now can create custom documents instead of using only templates. Users can create ANSI documents with custom fields and information. 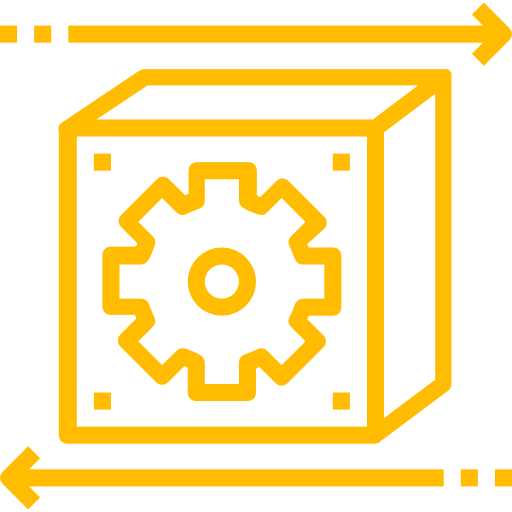 Documents such as Inventory Availability, Customer Price List, Order Status, Advance Ship Notice, Product Data, Purchase Orders, Product Configuration, and Invoices, now can include custom data, is automatically shared with trading partners the same as template information. The Essent OrderTrax® Network can now automatically pull files from trading partners rather than requiring the trading partners to push the files out via File Transfer Protocol (FTP) or another method. For example, a distributor can automatically pull price and availability information from the supplier through OrderTrax rather than relying on the supplier to push it out. Automation is enhanced for program billing. The Essent Business Management System has improved recognition for which line items are associated with program billing and which are not. Now when a parent line item is associated with a program, child line items added under the parent are also associated with the program. For example, when a decoration service is added to program-associated apparel, the decoration service is also automatically associated with the program. Fulfillment can now be performed in the EssentOne Business Management System. Fulfillment management tools and automation including complete Sales Order fulfillment as well as complete pick, pack, and ship operations management have been added to the system. Purchase Order functionality was previously added, and order assignment and fulfillment priority will be added soon. 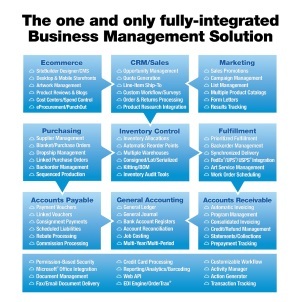 The Fulfillment functionality and automation previously only existed in the Compass Business Management System. Now it’s available in the new, intuitive, browser-based EssentOne, available anywhere on any device with a modern web browser and an internet connection. Images and image groups can now be assigned to services and displayed on work orders for greater production accuracy. Adding an image or multiple images can allow the fulfillment house to see in precise detail which artwork or decoration to use and how the final product should look, for example. Pick Lists now support barcode scanning to instantly access Work Orders. Scanning the Pick List barcode opens the Work Order Manager where a user can input the work that needs to be done for the scanned item, or see the work that needs to be done. For example, a user can collect 10 items, barcode scan the pick list, and enter the required work. Then the next user can pick up the items, bar code scan the picklist, see the work that needs to be performed, and perform it. The work associated with each item has never been easier to define and find. Packing lists now include information on remaining items and quantities yet to be fulfilled. The end buyer gains visibility to what can be expected in future shipments. Users have greater visibility to changes made to Purchase Orders. When prices or line items change, the system will log who made the change and when. The system previously logged details upon creating and submission of sales orders. Pick Lists can now be ordered by physical location for more efficient picking. Pickers can follow the most efficient physical route to products. The Essent Business Management System Inventory Module now shows future inventory. The extended product detail view now shows inventory that has been ordered but has not yet been checked in, so users can see which inventory is on its way. More data can automatically flow into the Essent Business Management System from Essent product research integration partners such as ASI and DistributorCentral. Product Number, SKU, Cost, and a supplier prefix were added. When users search ASI and DistribtorCentral from within the Essent Business Management System, the new information flows automatically into the back office along with the other product information users are accustomed to. The BMS also continues to automatically apply user-configured business rules such as customer rules, pricing rules, and more. A back button was also added for when users select a product by mistake. In EssentOne, it’s easier to create bulk orders with multiple size and color combinations. Users can now create Product Matrices for items that are added via integrated product research. Matrices in EssentOne product research could previously be created only for stock products. Catalogs can now be defined in EssentOne. Products and services previously could be defined only in Compass. The EssentOne business management system underwent a number user-friendliness improvements based on user feedback. In Contacts, the system will now provide an alert to users creating a duplicate contact. EssentOne now better supports service-only orders by blocking shipment creation on orders with services but no items. A Posting Accounts widget was added to the Control Panel. PunchOutNow supports additional forms of user identification. For eprocurement integration with buyers’ SAP OCI eprocurement systems, users can now be identified by username in addition to email address. PunchOutNow integration with other eprocurement systems including Ariba, Coupa, Oracle remains unchanged. The information need to make the best business decisions possible is more accessible. EssentOne now supports hundreds of custom reports for almost every part of the transaction lifecycle including Customer Service, Order Status, Activities, Opportunities, Invoices, Commission, Accounting and more. The EssentOne User Interface/User Experience (UI/UX) is improved based on customer feedback. Ease of use and mobile compatibility are improved for Sales Order Detail, Activities, Activity Detail, Opportunities, and Customer Manager. More data can automatically flow into the Essent Business Management System from Essent product research integration partners ASI, SAGE, and DistributorCentral. Product Number, SKU, Cost, and a supplier prefix were added. When users search ASI, SAGE, and DistribtorCentral from within the Essent Business Management System, the new information flows automatically into the back office along with the other product information users are accustomed to. The BMS also continues to automatically apply user-configured business rules such as customer rules, pricing rules, and more. A back button was also added for when users select a product by mistake. It’s easier to create bulk orders with multiple size and color combinations. Users can now create Product Matrices for items that are added via integrated product research. Matrices could previously be created only for stock products. A customer self-service improvement in SiteBuilder™ allows customers to view and pay invoices online.